August is Asphalt Awareness Month – Here’s Why. On a sunny day, if the air temperature is 77º the asphalt can be 125º. On an 87º day, the asphalt can be a whopping 143º. 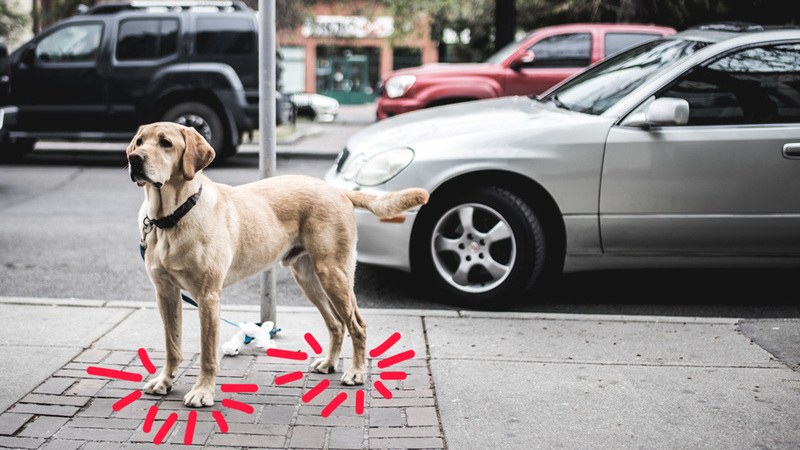 Keep in mind that pets’ paw pads can be injured in as little as 60 seconds if the asphalt is 125º, which is why you as a pet owner need to be aware! If you plan on taking your pal on a walk, even on a beautiful 77º day, hold the back of your hand to the surface you’ll be walking on for at least 5 full seconds. If you can’t, it’s simply too hot for their paws and you’re running the risk of injury. Just like our skin, paw pads can burn and blister and be incredibly uncomfortable for your pet for days, and nobody wants that. You know that we are all about exercising your pal but, in light of Asphalt Awareness Month, we just have to reiterate the importance of being safe. If your pet needs to get out and you live in an extremely hot area, consider dog booties – they’ll take some getting used to, but they’ll avoid injuries from hot pavement; just be sure they don’t wear them too long, as heat is released from their feet. If you have other ways of being asphalt aware on behalf of your pet, let us know! Are Puppies the Prescription for PTSD?